Round 12 SANFL Macca's League action sees South Adelaide and Central District do battle for the Mayor's Cup at Hickinbotham Oval this Saturday afternoon. 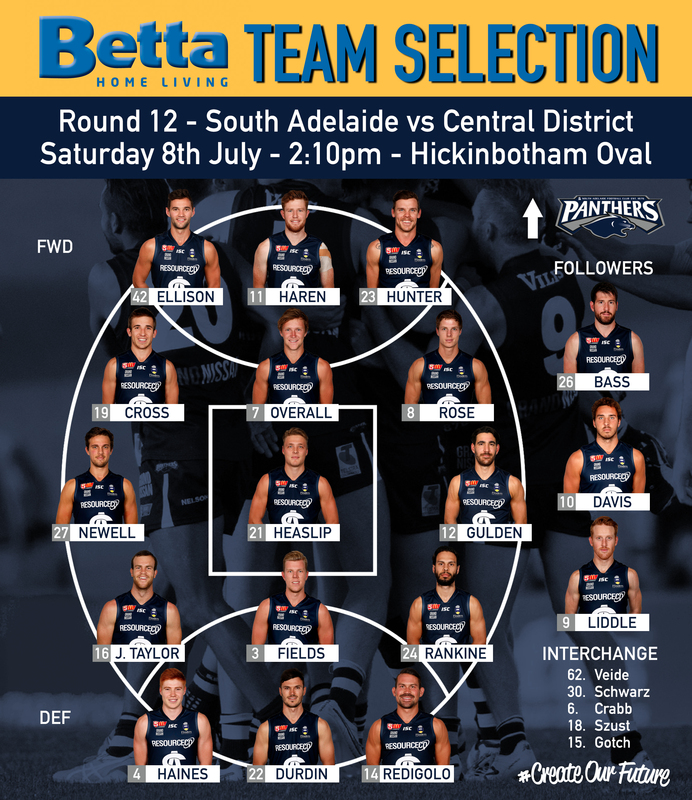 The Panthers have made several changes to the side that fell to North Adelaide at Prospect last weekend, with five new faces added to the mix. Skillful utility Adam Gulden is set to notch his 50th appearance in the blue and white in his first League match for 2017, named on the wing after racking up 30 touches and two goals in his return to the Reserves last weekend. Ben Heaslip has also been rewarded for his strong performance against the Roosters and named on field. Further changes could be come from the extended bench, which needs to be cut to three, with experienced midfield duo Jake Veide and Nic Schwarz named on the interchange. Meanwhile, youngster Cody Szust (Bridgewater - HFL) could also be in line to make his League debut if selected. 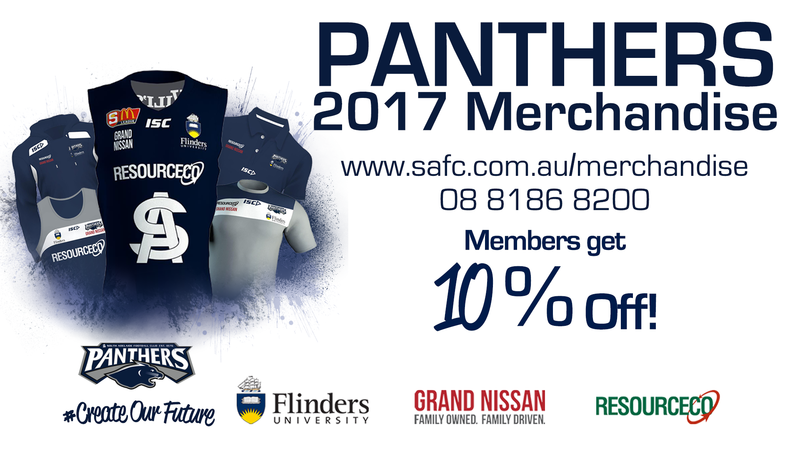 Free entry, activities and showbags for kids this weekend - Macca's Family Day! Heading back to the Reserves from the League side are small forwards Rigby Barnes, Connor Fairlie and Matt Raitt. Rugged defender Scott Taylor and Kangaroo Island product Coby Helyar are also set to make their return from a pair of hamstring complaints. Meanwhile, South Adelaide's Under-18s will simultaneously be in action at My Money House Oval as they clash with the Bulldogs from 11:25am.